In the girls varsity race Luly Brea, the junior from Lourdes from took it out strong from the gun. Brea lead the race for roughly two miles until two Ferguson Falcons flew by her and made their moves. Junior Katrina Santiago and sophomore Aylwyn Hernandez, running on basically what is their home course, took advantage, and passed her finishing first and second for Coach Raposo's squad in times of 19:33.25 and 19:50.10. Santiago became the first ever county champion for Ferguson. Brea finished in third as the only other runner to break 20 minutes, in a time of 19:54.72. Two of South Florida's top runners, however were not in action. Brea's teammate Courtney Filiben was out sick, while Maria Balcazar, Carrolton's number one runner was out with a sprained ankle. 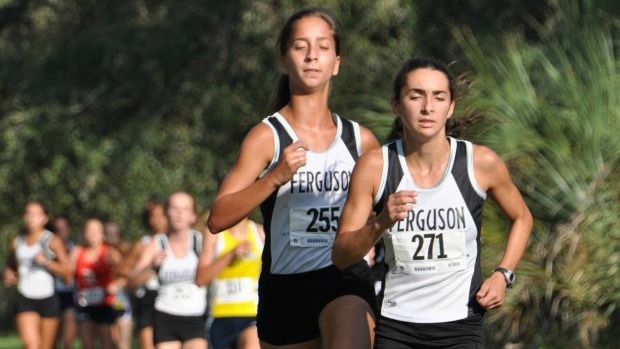 Great news for the Ferguson team as well as they placed their five in the top eight spots for win back to back county championships, the only times they ever won as a team. Lourdes was second with 58 points. Carrolton and Coral Reef both tallied 125 points, but Carrolton got the third place nod. 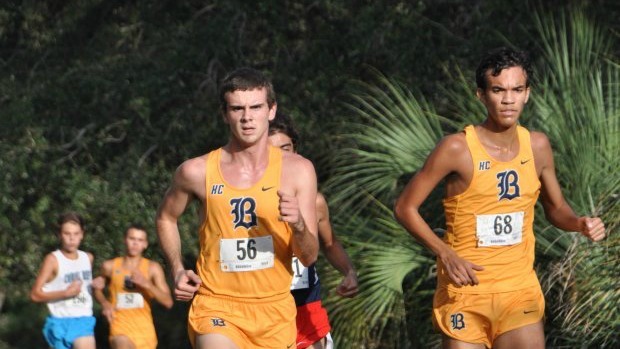 Anytime you see Belen Jesuit in a race, you can guarantee they will be near the top of the results and the boys varsity race was no exception. Senior Avery Lopez and junior Fabian Tomas took it out strong and Danny Fernandez of Columbus decided to go with them. About a mile, mie and a half in, the duo decided to leave him in their dust. Lopez proved why he will be a contender for an individual state title in 3A when he pulled away from everybody including Tomas crossing the line in 15:58.23. Thomas came in at 16:13.05. Fernandez rounded out the top three in 16:20.65. Belen placed their top five in the top eleven spots to post a score of 19 points which they had two years ago. Not quite the perfect score they posted last year to win this event, but still very impressive. That makes three consecutive titles for the Wolverines who will be a heavy favorite in the 3A Cross Country Finals as well. Columbus was second with 55 points and Ferguson third with 113 points. Miami Sunset rested their varsity and ran their junior varsity squad in the varsity race. Much like the boys varsity race, the boys junior varsity race was dominated by Belen as they post a perfect score of 15 going 1-5 lead by individual champion Jose Roca who won in 17:39.31. Anne Marie Jude took home the individual honors in the girls race with a time of 22:12.85 to give Lourdes a 31-37 victory over Ferguson.